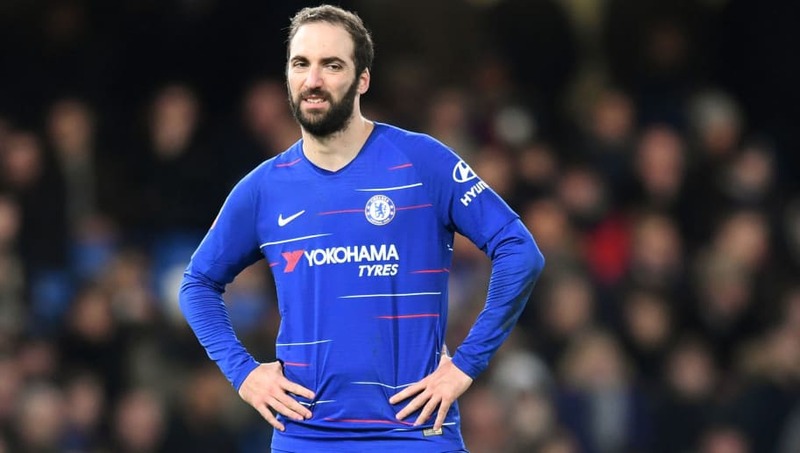 Chelsea loanee Gonzalo Higuaín could be set to return to Juventus with his tail between his legs this summer after failing to impress the decision makers at Stamford Bridge. Having spent the first half of the season on loan with AC Milan, Higuaín left to join Chelsea in a temporary move from parent club Juventus which would see him link up once again with Maurizio Sarri. But the Argentine hasn't been able to rediscover the form he showed under Sarri at S.S.C. Napoli, scoring just three times against the Premier League's relegation-threatened sides. Marca claims that Chelsea are now considering passing up the chance to extend Higuaín's loan by another season for €18m, as well as their option to buy the striker permanently for €40m. That would force Higuaín to return to Juventus, but the Bianconeri do not want the 31-year-old striker to return to the club and will likely ship him out once again if Chelsea's veto their options at the end of the season. Despite previously having a strong relationship with Sarri at Napoli, the Chelsea manager has even conceded that Higuaín hasn't hit the ground running like he was hoping following his arrival in January. "He was improving, but then he had some problems at the beginning of the week," Sarri said, quoted by The Mirror. "He had a strong stomach fever so today it was normal that he could only play for 60 or 65 minutes." Chelsea might also find themselves in a tricky situation this summer as if Higuaín doesn't join permanently, then the club could go into next season with very little depth in attack. It looks increasingly likely that Eden Hazard will leave for Real Madrid, while Olivier Giroud has also raised doubts over his long-term future at Stamford Bridge. Loanees Charly Musonda, Tammy Abraham and Lucas Piazón will all return to the club at the end of the season, but Álvaro Morata won't rejoin his Chelsea teammates until 2020 after joining Atlético Madrid on a long-term loan deal.